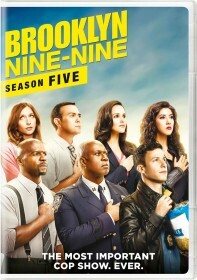 You are viewing a list of James M&period; Connor's 1 appearance on Brooklyn Nine-Nine. Fed up with Jake's petulant attitude, Captain Holt assigns him to a mundane graffiti case. When the culprit is apprehended and turns out to be the Deputy Commissioner's son, Peralta and the Captain struggle over how to proceed. Meanwhile, Gina's psychic friend frightens Boyle.